If your bike has a problem with its crankset and you need a replacement, the easy choice is the Framed Chain Ring! 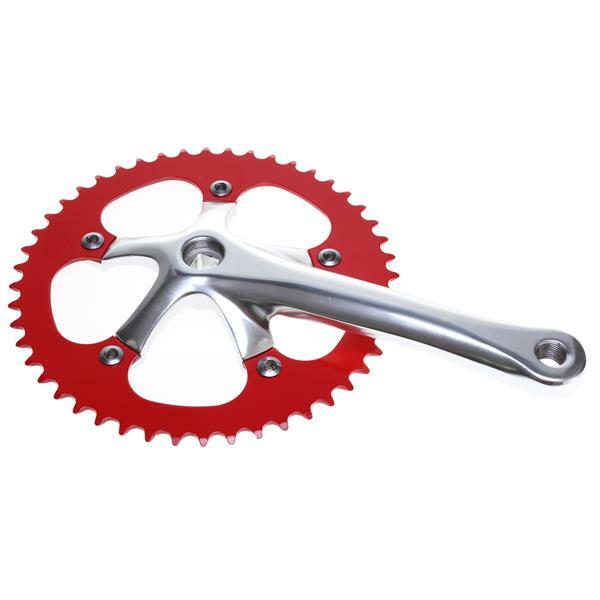 This chain ring is compatible with most bike cranksets and is easy to install and replace if you need new sprockets or chainwheels for your bike. The Framed Chain Ring attaches easily to most cranks and arms. This chain ring is also a Framed, which ensures its quality as a bicycle part. The Framed Chain Ring is the perfect replacement part for your bike! I was putting a bike together to sell for a friend and I purchased this crankset. I liked it so much I put it on my personal bike. The product seems made well and the value is undeniable. What is the pedal thread size? What chain size do i need with this crankset? It depends on the number of teeth you're running on the rear cog. We don't have any more of these chainrings in stock, so I'm not 100% sure, but this one looks like it is a 48T. Most fixed-gear chains come in only a few different lengths and you just have to shorten it to fit whichever particular bike and configuration you have. I would recommend bringing your bike into a local bike shop to get a chain fitted if you are unsure how to do it. 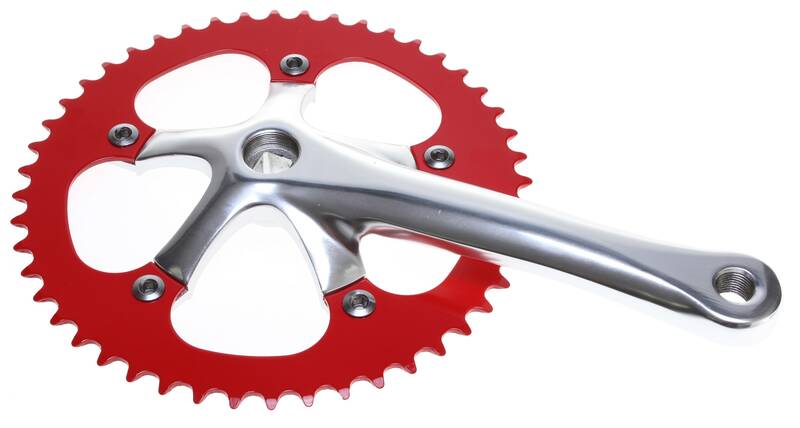 What is the crank arm length? BEST ANSWER: The arm length is 175mm on the Framed Chain Ring Bike Chain Ring.